Bridges have featured in many films and are often used as a dramatic setting, whether it is as a place for lovers to meet, enemies to fight or for the despairing to jump from. Often, a real-life bridge is used, such as the Verrazano-Narrows Bridge that connects Brooklyn to Staten Island. This appears in many scenes in Saturday Night Fever, where the lead character and his friends show off by climbing on the bridge, resulting in tragedy. Bridges are often used as places for lovers to meet, like the war-time classic Waterloo Bridge and the Hong-Kong-based Shanghai Blues, and countless war films, from Bridge on the River Kwai to Apocalypse Now, have had characters fight in battles on or around bridges. 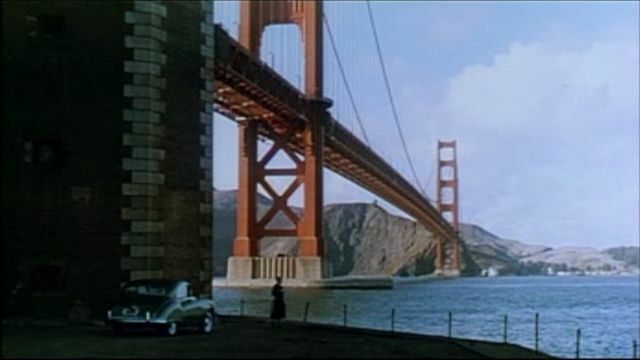 Suicide, or attempted suicide, by jumping from a bridge is another favourite film motif and appears in the Christmas classic, It’s a Wonderful Life and the definitive Hitchcock work, Vertigo. Any important films we’ve missed? Comment below! This entry was posted in Bridges and tagged bridges, bridges used in film, film, films, movies. Bookmark the permalink.